The Sewing Palace offers a diverse collection of fabrics in batiks, Asians, silks, and wools in traditional, contemporary and fresh colors. We offer many sewing, quilting, crafting and embroidery classes. If you want to express yourself in fashion, get inspired, create a new bag or experiment with your creative talents, we have the right sewing machine, tools, and fabrics. We are owned and operated by women who sew and have a passion for creating. 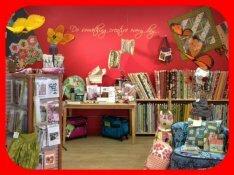 Come share in our passion and visit The Sewing Palace. The Sewing Palace offers Swiss quality BERNINA sewing machines. 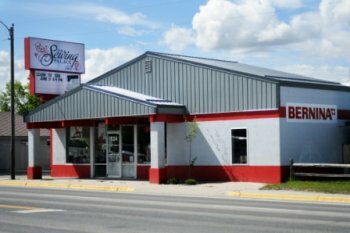 The BERNINA sewing machine factory is the only family-owned sewing machine business with 100 years of innovative sewing machine sales and development. We can help you find the machine for your dreams. The Sewing Palace gals regularly re-arrange the store, create new displays and have fun creating things that will inspire you! Come in and see what's new today. We like to keep it fresh and keep ya guessing! NOTHING SEWS LIKE A BERNINA… NOTHING! 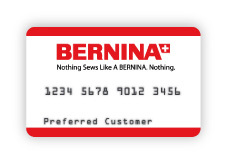 Click on the Bernina logo and you can visit the Bernina Website. You will have lots of fun discovering what Bernina has to offer. Are you ready to own a new Bernina? It’s as easy! Apply on line today.